U.S. stocks rose, in part due to data showing a faster-than-forecast rise in industrial output. U.S. stocks rose, after equities posted their first weekly drop in a month, as corporate deals and data showing a faster-than-forecast rise in industrial output overshadowed the growing unrest in Iraq. Covidien Plc surged 21 percent after Medtronic Inc. agreed to buy the Irish company for $42.9 billion. Williams Cos. jumped 24 percent after agreeing to buy control of Access Midstream Partners LP for $6 billion. Level 3 Communications Inc. slid 4.6 percent after agreeing to buy TW Telecom Inc. for about $5.7 billion. Home Depot Inc. gained 1.1 percent after data showed U.S. homebuilder confidence rose the most in almost a year. The Standard & Poor’s 500 rose 0.2 percent to 1,939.74 at 10:57 a.m. in New York. 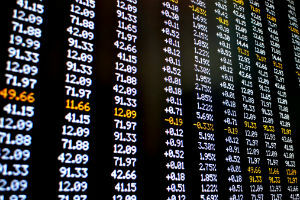 The Dow Jones Industrial Average gained 11.76 points, or 0.1 percent, to 16,787.50. Trading in S&P 500 stocks was 7.6 percent higher than the 30-day average at this time of day. The S&P 500 dropped 0.7 percent last week, snapping a three-week rally that had pushed equities to all-time highs, as Sunni insurgents in Iraq occupied more territory and oil prices jumped to an eight-month high. Iraq’s army killed more than 279 rebels yesterday as the prospect of civil war in OPEC’s second-largest producer intensified with Sunni Muslim insurgents controlling territory north of Baghdad. West Texas Intermediate crude pared gains after Bank of America Corp. said the complete halt of Iraqi output, concentrated at the opposite end of the country, is “highly unlikely.” The price remained near a nine-month high. Data showed industrial production climbed more than forecast in May, a sign gains in manufacturing are supporting growth as the U.S. economy picks up. Output at factories, mines and utilities rose 0.6 percent after a revised 0.3 percent drop in April that was smaller than previously estimated, a report from the Federal Reserve showed. The New York Fed’s Empire manufacturing report rose to 19.28, exceeding the average estimate of 15 in a Bloomberg survey of economists, a separate report indicated. The Fed is watching economic data as it moves to complete a monthly stimulus program late this year. Policy makers meet this week, with a decision on rates and bond buying due June 18. The stimulus has helped propel the S&P 500 higher by as much as 188 percent from its bear-market low in March 2009. The International Monetary Fund cut its growth forecast for the U.S. economy this year and said the Fed may have scope to keep interest rates at zero for longer than investors expect. The institution now sees the world’s largest economy growing 2 percent in 2014, down from an April estimate of 2.8 percent. For the Fed, the forecast means “policy rates could afford to stay at zero for longer than the mid-2015 date currently foreseen by markets,” the fund said in its annual assessment of the U.S. economy. Investors also considered equity valuations after the S&P 500 closed at an all-time high on June 9. The measure trades at 16.4 times the projected earnings of its members as of June 13, up from a multiple of 14.8 at the start of February. The Dow closed at a record on June 10. A measure of volatility posted the biggest gain since April last week, rebounding from a seven-year low on June 6, as the Chicago Board Options Exchange Volatility Index surged 14 percent to 12.18. The gauge known as the VIX rose 2.7 percent to 12.51 today. –With assistance from Jonathan Morgan in Frankfurt and Joseph Ciolli in New York.